LA FINALIDAD DEL CURSO ES DAR A CONOCER A LAGENTE COMO SE ESCRIBE UNA COPLA DE JOTA PARA LUEGO PODER SER CANTADA POR CUALQUIER CANTADOR O POR UNO MISMO. QUE LA GENTE COMPONGA UNA COLECCIÓN DE COPLAS DE SU MUNICIPIO, DONDE DEN A CONOCER SUS COSTUMBRES Y TRADICIONES. 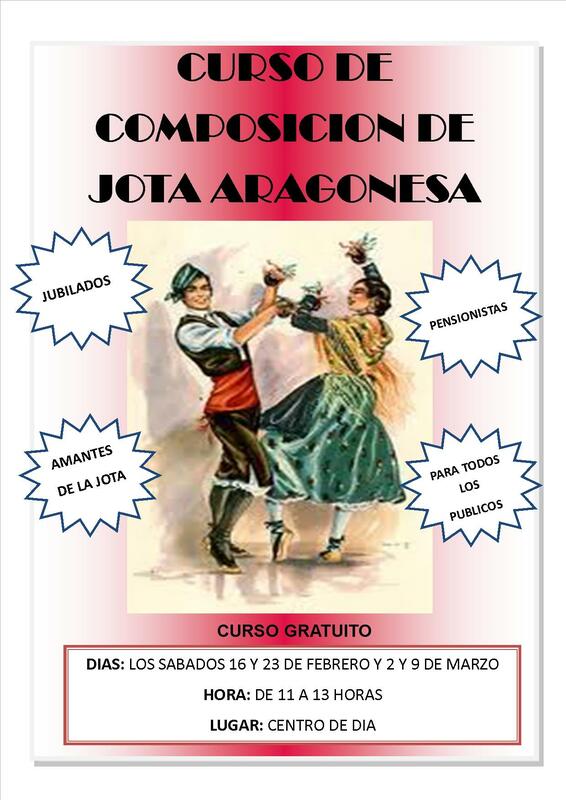 LAURA SATUÉ CATALÁN, PROFESORA DE CANTO Y COPLA ESCRITA EN DIVERSAS LOCALIDADES DE ARAGÓN. ACOMPAÑADA PARA LAS CLASES POR JESÚS BUISAN, PROFESOR DE RONDALLA Y GUITARRISTA PARA TOCAR A LA HORA DE CANTAR LAS JOTA ESCRITAS.